On New Year’s Eve I picked up my previously abandoned Honey Cardigan project, and found that it really only needs sleeves. 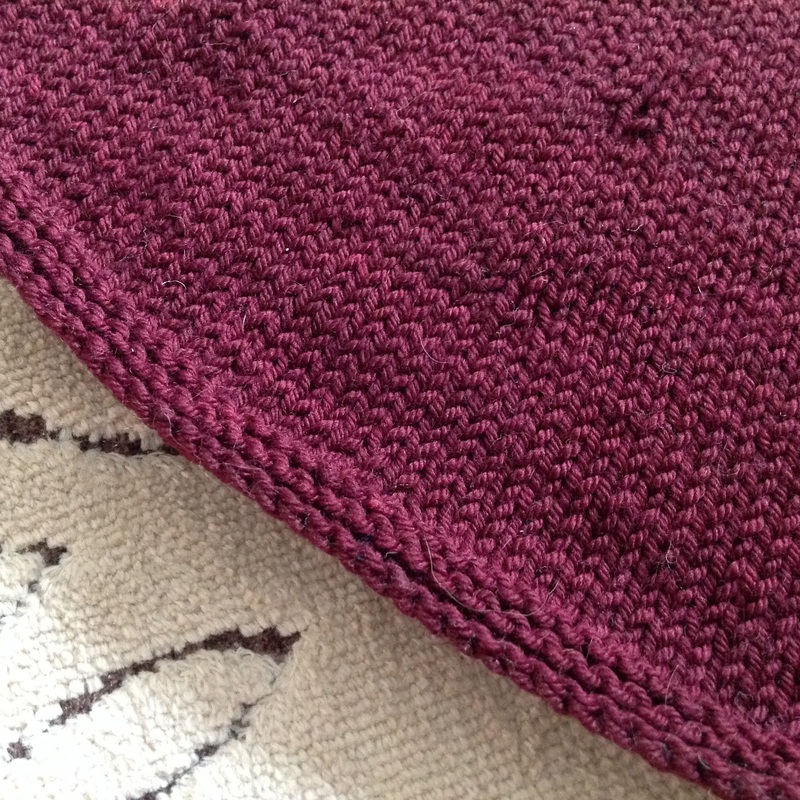 The body increases are finished, and it’s long enough, so I finished the bottom edge in garter stitch. It’s supposed to have applied i-cord all the way around the body and neck edges, but I know I’ll never finish that. I’ll crochet around the fronts and neck instead. I’m working on the first sleeve, and I think it will go pretty quickly in simple stockinette. Perfect multi-tasking knitting. 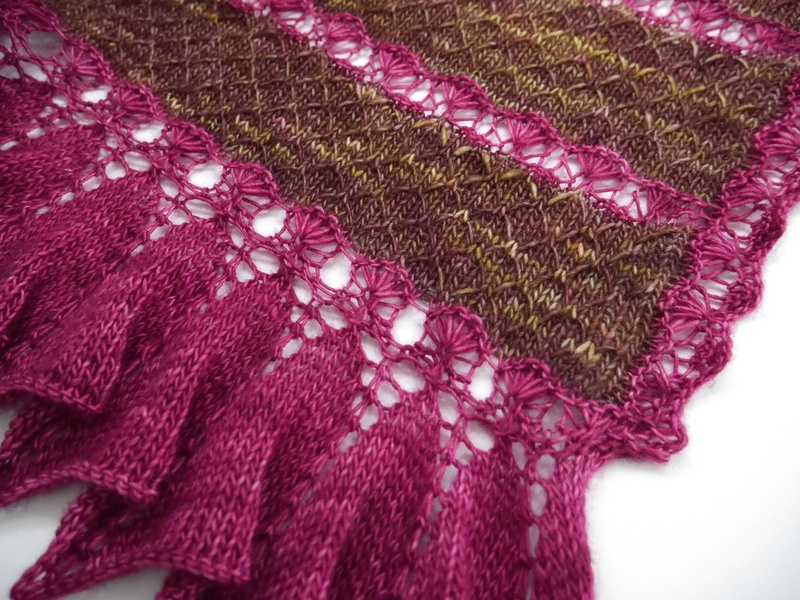 I’ll finish the sleeves with the same garter stitch border as the body. I certainly don’t want to set this aside for another year. 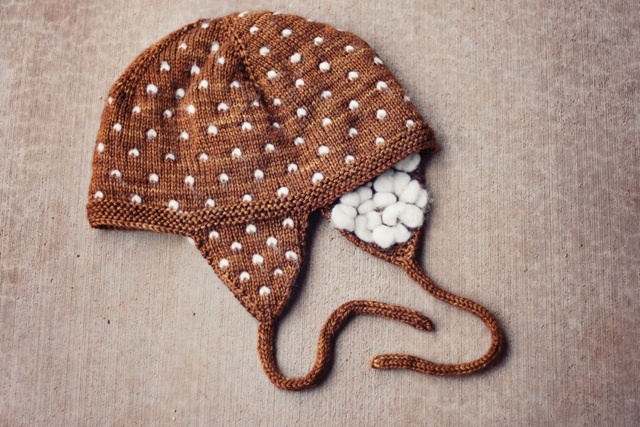 Apparently I began this in Feburary 2013 (thanks Ravelry, for keeping me honest). And in the realm of “do as I say, not as I do,” I didn’t wash and block my gauge swatch, so this is an adventure all around. I’m hoping to cast on Joji Locatelli’s Even Flow cardigan after this one is done. 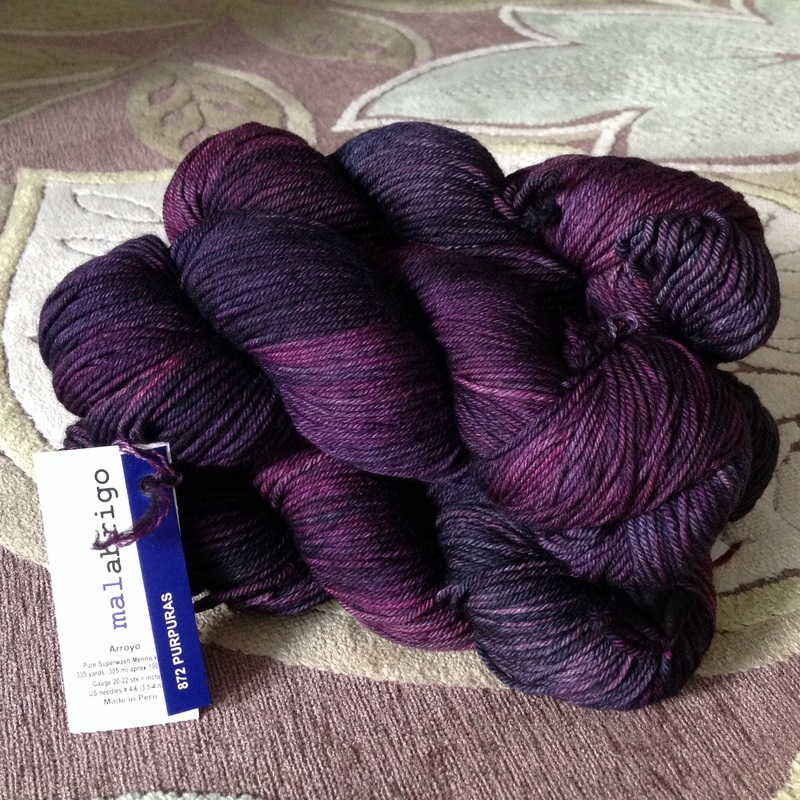 I bought the yarn last fall when Twisted had a big delivery of Malabrigo. You have to jump if you want a sweater quantity of Mal! I may be getting ahead of myself, though. I gave my niece a ball of lovely yarn and a promise of mitts for Christmas, and I do need to finish that, both for the gift, and because I want to publish the pattern! This Dream in Color Classy with Cashmere turned out to be a little too heavy for what I wanted to make. Also, it was leaving blue dye all over my fingers, and my wooden needles, too. 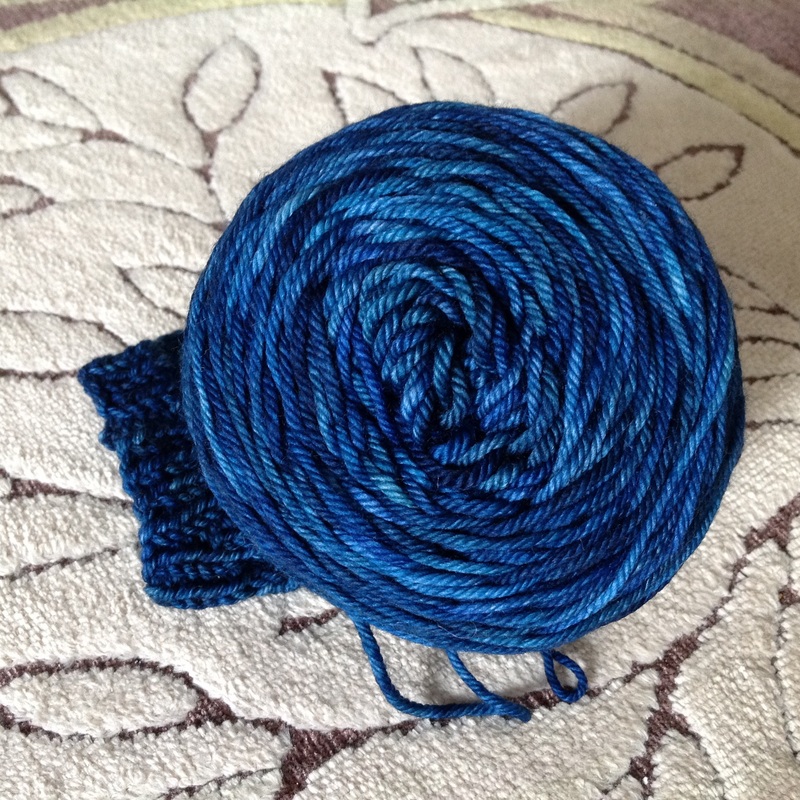 I had to go back to Twisted and buy more yarn, this time a skein of Malabrigo Rios. This is sweet. 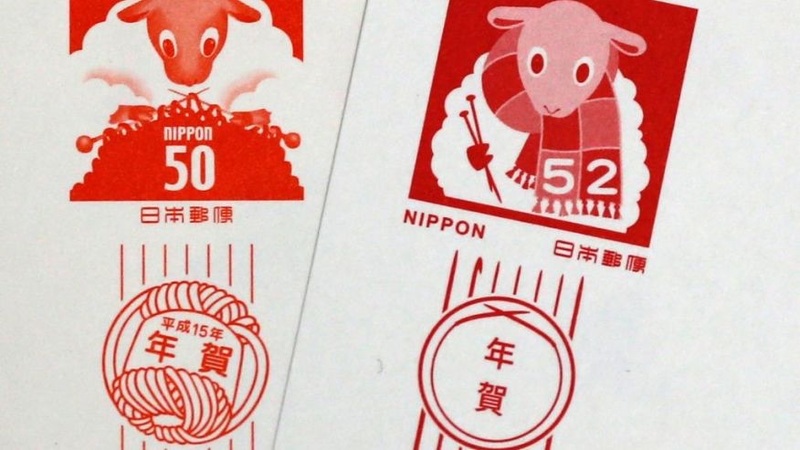 The Japan new year stamp for the year of the sheep shows a sheep that has finished the scarf it was knitting 12 years ago, the previous year of the sheep. Or maybe the sheep has knit oodles of project since then. Hard to tell. But check out the detailing: The yarn ball label with the character for sheep on it on the old stamp, and the circular needle with the crochet hook behind it on the new stamp. Fun! This must be the year to Buy. All. The. Wool. I’m thinking of doing a re-release KAL with these knits in February through Ravelry after I finish last year’s knitting this month. Check out the Ravelry thread here. Why join a KAL? Fun, camaraderie, and prizes! 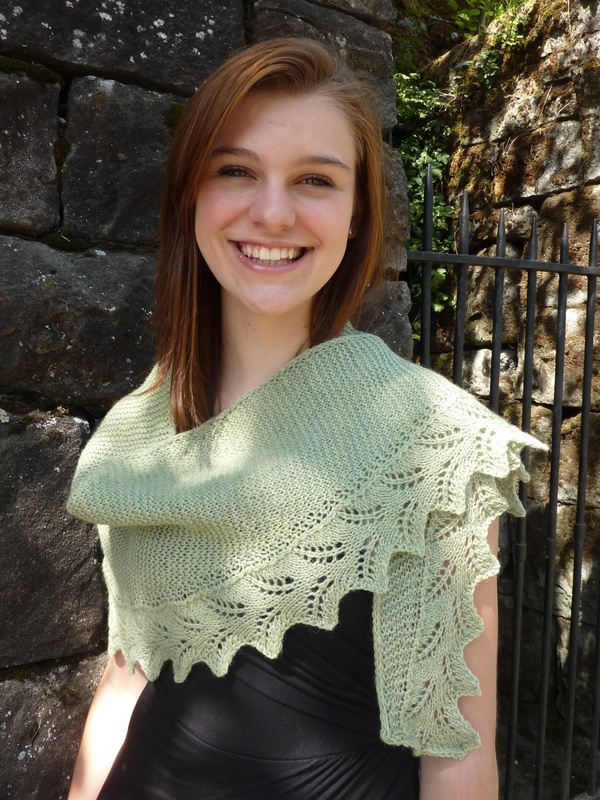 I’ll be knitting another Fern Shawlette, this time with the beads I didn’t have time for when I knit the prototype. I’ll be using Louet Gems, and these lovely Miyuki Delica beads that I originally swatched with. What’s on your needles? 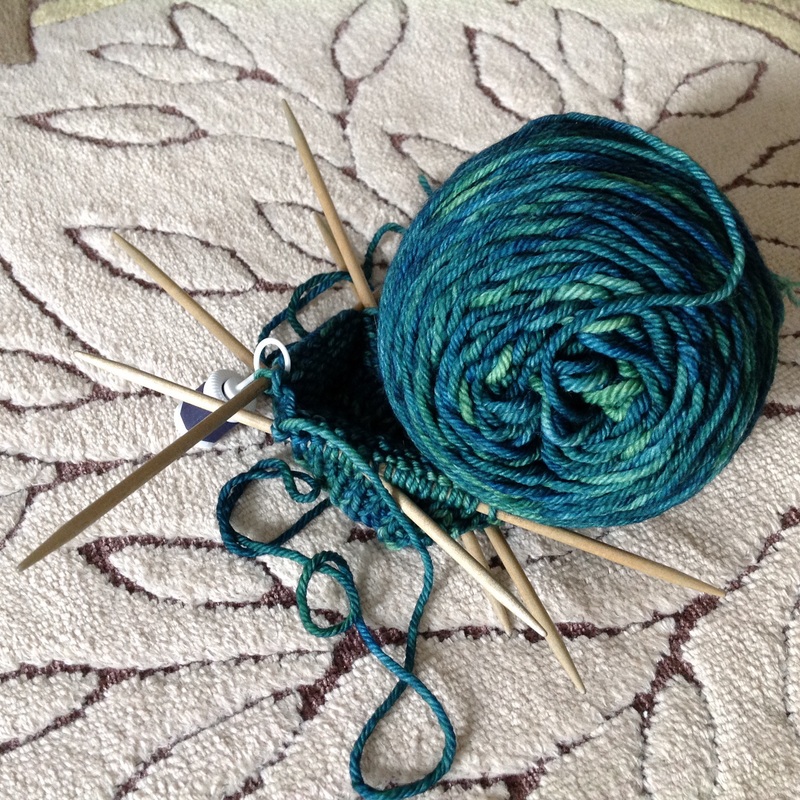 Are you knitting out the old, or knitting in the new? This entry was posted in KAL, Knit, yarn and tagged honey cardigan, japan sheep stamp, kal, Knit, malabrigo, new year, re-release kal. Bookmark the permalink. The color of your honey cardigan is to die for! Thank you! The color is called Pinot Noir. I think the dyer (Black Trillium) nailed it! This was special dyed for Twisted yarn shop in Portland; they used to have their own yarn line, 45 North. Discontinued now, but I’m enjoying knitting it. New AND old. I have a cowl nearly done that I just cast on a few days ago. I have two sweaters from last year to finish, and then Thrumviator. Oh! And buttons to sew on a cowl. Those stamps are adorable. The Japanese REALLY know how to do CUTE! Love the cardigan(s) patterns you’ve chosen. 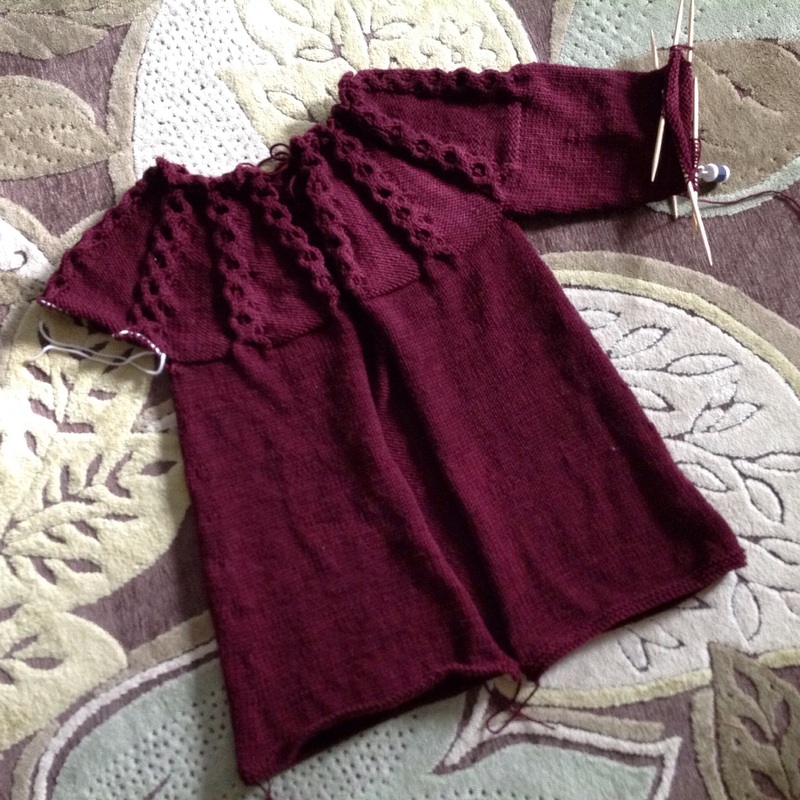 And the Honey Cardigan color is just about the same as the “Color of the Year – Marsala”. You’ll be in style! Can’t wait to see the Even Flow cardigan done up in that beautiful purple! Yum! you have such gorgeous projects it he works! And your Honey cardi is so close to being finished. that thrumviator hat is so sweet, I can’t believe I haven’t seen it before! !